Browsing Category " Vietnam Nightlife "
Meeting a girl in Vietnam has never been easier thanks to the Internet. Plenty of dating websites and apps have been launched in the past 10 years, giving you access to thousands of single Vietnamese girls from all backgrounds. For guys, Vietnam is like a treasure chest. Just upload a few decent pictures of yourself, write an interesting profile, and you are normally guaranteed to match with hundreds of pretty and smart girls. There is a catch, though: 95% of Vietnamese girls are looking for serious relationships, so forget about easy one night stands. It may happen from time to time, but that's not the best country for that (check my article Best Countries to Meet Girls in Asia ). I've used all the dating apps and sites available in Vietnam. In this article, I'll tell you which ones work the best, whether you are an expat, a traveler, a Vietnamese or even someone who's never been in the country. Following my review about the 25 Best Massage Parlors in Saigon (one of my most read articles last year), I've decided to write the equivalent for Hanoi. I haven't visited any of the venues listed below for two reasons: 1) I'm not really into spas 2) Hanoi is one of the easiest cities in the world to meet girls, either in nightclubs (see my Hanoi Nightlife Guide ), or online through VietnameseCupid for instance. Therefore, all the content of this article was taken from the internet, mostly on Vietnamese forums that a friend helped me translate. We double-checked every piece of information, but if you find a mistake, please leave a message in the comment section below. Saigon/Ho Chi Minh City is full of naughty massage parlours and spas where you can get "extra service" (also referred to as "happy ending", "rug and tug", "plus plus", or simply by what they are, handjobs). I enjoyed Saigon nightlife several months when I was living there, but I had actually not been to one of these massage parlours/spas. Nevertheless, as I am a sucker for web traffic, I'm listing here all the places that provide such services in Saigon. Most of the information below comes from tips from friends who are expats in Saigon, completed with research on internet forums and blogs. Many of the spas are located inside hotels. 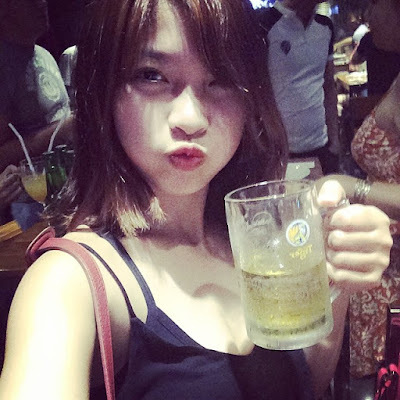 If you are looking for a girl-friendly hotel in Saigon , it is a good idea to book one of them. I included a direct link to Agoda to help you. I make a small commission on every booking so if you like this review and value the hours I spent writing it, please book your hotel using one of the links ! I just spent two weeks in Hanoi and I must say I was pleasantly surprised by the nightlife. When I was living in Saigon , people kept telling me that Hanoi was a conservative town with unfriendly people, a curfew at midnight and a suffocating weather. In fact, I found barely any differences between the two cities, and particularly at night. 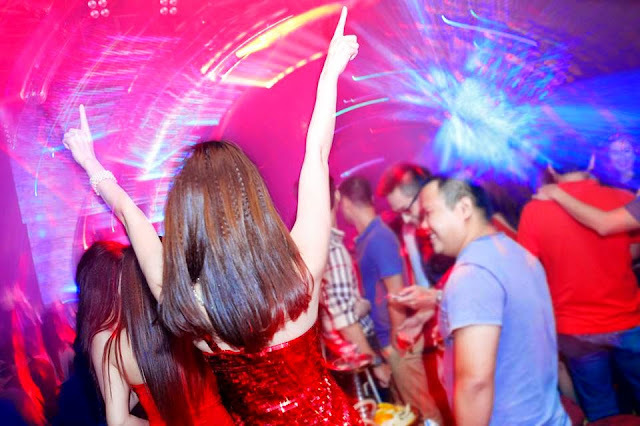 Saigon is in my Top 3 party destination in Southeast Asia, and Hanoi is not far behind. The hundreds of bars, clubs, lounges, spas and karaokes in Hanoi range from extremely basic (4 walls and a stool) to world-class sophisticated venues. You'll rarely pay an entrance fee for any nightclubs and the drinks are usually cheap, even in the more upmarket spots. Girls are everywhere, from young backpackers to crazy-hot Vietnamese dolls. Just open VietnamCupid or Tinder and you'll have so many matches you won't be able to follow up with half of them. I was in Hue for just 2 days on a stopover between Hanoi and Hoi An. I thought it was a pleasant town, with a fun nightlife, a laid-back vibe, some world-class attractions and excellent food. If I had known beforehand, I would have skipped Hoi An, probably the most overrated destination in Vietnam, and I would have stayed in Hue for a few extra days. This review is a summary of what I learned about partying in Hue.